The next iPad hasn't even been officially announced yet and there's already some loose talk about yet another iPad hitting shelves later in the year. Whether he meant it or not, the spark was lit by John Gruber, a blogger with access to sources inside Apple. In a post reflecting on yesterday's HP TouchPad announcement, Gruber points out that although he's "built a stable of good sources" inside Apple, his predictions of an iPad release later in the year are simply guesses—nothing's been rooted in fact or gleaned from anyone inside Apple. The basic tenets of Gruber's guesses are interesting to consider, though. The main argument is that the iPad was announced in January and released in April because Apple "had no competition, and because they wanted to give iPhone developers time to write native iPad apps." But a September release schedule for future iPads would give Apple better push going into the holiday season. Apple traditionally introduces new iPods in September, so adding iPads to the same press event would be trivial. Apple's dilemma this year, though, is that we're coming up on the one-year mark of the first iPad's availability and Apple—working on a yearly launch cycle for its product lines—is expected to reveal the next iPad soon. So if the company wants to shift the iPad to a September release schedule, it'd have to put out the second iPad in the next couple months, followed by yet another iPad later in the year. 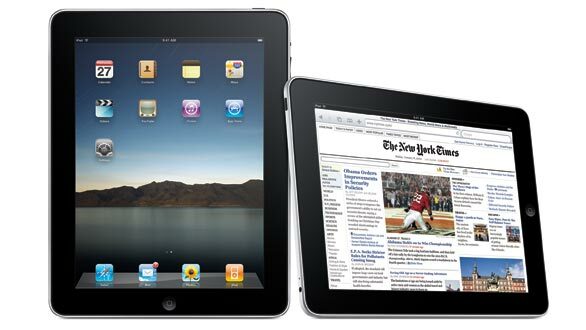 "How could Apple release a third-generation iPad just six months or so after the second one? Maybe it won't be an actual next generation model. Maybe it's more like an iPad 2.5, or iPad 2 Pro — a new higher-end model that sits atop the iPad product family, not a replacement for the iPad 2 models (which, of course, haven't even been released yet). Or: an iPad 2 HD. What if that's the source of the conflicting reports of a retina display next-gen iPad? I am nearly dead certain the iPad 2 is going to have the same display resolution and size as the current iPad. I am not so sure at all, though, that there won't be a double-resolution 2048 × 1536 iPad in 2011. Is that a technically aggressive release schedule? Absolutely. But Apple has invested $4 billion on some sort of unspecified components for future products." That'd lend some credence to earlier rumors of an insanely hi-res iPad screen while addressing more recent rumors that the iPad 2 will feature the same screen resolution as the first iPad. What's also worth considering is that we'll have a market full of Android tablets by September, many of which have already had their technical specifications announced. The iPad 2 will still beat many of these tablets to market but the mythical iPad 3, if released in the fall, could already be in development with Apple's full knowledge of what it'll be up against by then.